"It seems to me that our three basic needs, for food and security and love, are so mixed and mingled and entwined that we cannot straightly think of one without the others. . . . There is communion of more than our bodies when bread is broken and wine drunk." At the Western Boot Steak House ("Established 1983"), there are literally dozens of photos of John Wayne, hanging on various walls among all the Western boots, spurs, cacti, and saddlebags. This Western theme is carried to a delightfully over-the-top extreme: one wall is decorated with what looks like an immense barn door, a cardboard cutout of the late Roy Rogers peers out from all the bric-a-brac, the wooden tables have been branded (a boot in a circle), and there's a mailbox outside the front door that appears to be wearing a saddle. Then there's a stuffed sheriff (or is he carved out of wood?) standing behind the front counter, wearing a star and a red bandanna, looking solemn but kindly. This being a restaurant, there's food. Good food, too, with funny Western names. The best ones have been reserved for the appetizers: Tumbleweed Onion Rings, Sagebrush Zucchini Stix, Saddle-Up Sautéed Mushrooms, and Pistol Jalapeño Poppers. Which brings us to the steak. It's basically great. Try the Smothered Steak, covered in onions and bell peppers. Like all the food, it's tasty and reasonably priced. Just the way John Wayne would've wanted it. 9 Mitchell Road, Healdsburg. 433-6362.--D.T. Ever since the prestigious Wine Spectator magazine picked Chateau St. Jean's 1996 Cabernet Sauvignon Cinq Cepages as its Wine of the Year in late 1999, well-dressed oenophiles have been seen lurking around the Kenwood post office. Like that of underaged teenagers, their mission is to score forbidden alcohol by bribing locals. Because only 140,000 bottles of the hottest vintage on the planet were produced, the winery has seen fit to limit purchases to one bottle per customer. The good news is the wine can be had for the original price of $28 a bottle. Truly a bargain when you consider that this coveted cab has already sold for as much as $300 a pop on the Internet. Wine Spectator says: "With its uncommon depth, ripe, juicy flavors, and plush, velvety texture, Cinq Cepages won votes from our editors for its quality, price, and availability." This is the first time any Sonoma County wine has ever been honored as the Wine of the Year, so don't wait to grab a bottle. Chateau St. Jean Winery, 8555 Sonoma Hwy., Kenwood. 833-4134.--B.E. OK, TEENSY RAVENOUS CAFE in Healdsburg isn't actually a bedroom, but it sure feels like one. Dining in that intimate space (co-owned by Joyanne Pezzolo, above) feels as if you've ordered a very special room service at a fine Parisian hotel. At night, the restaurant, which has just eight tables, is transformed into a shadowy hideaway. Oversize tortoiseshell-framed mirrors, faux tiger-skin banquettes, deep ochre walls, topaz-hued beaded candleholders, and mellow music floating from the sound system complete the "chef's bedroom" illusion. Once ensconced in a cozy corner, you forget that the place is attached to the lobby of the venerable Raven Theater. But don't expect hot dogs and popcorn--smoked salmon and corn cakes with caviar and caperberries plus a glass of chilled sauvignon blanc will more likely be your fate. 117 North St., Healdsburg. 431-1770.--P.H. Yes, really, a peanut pizza. Borolos Original Pizza, one of Santa Rosa's best-kept secrets, embodies all that is Californian and good with its eclectic pizzas, pastas, and salads. Take, for example, the Bangkok, made with peanut sauce, bean sprouts, roasted peppers, grilled chicken, fresh cilantro, and peanuts. It really works! The combinations border on the odd (chipotle ranch sauce, fresh spinach, and pineapple adorn the Petaluma), but everything is impossibly delicious. The salads go far above and beyond the usual "pizza place salads" of droopy romaine and canned cheese, boasting house-made dressings and pine nuts over everything. There's even an extensive vegan menu. Borolos is open for dinner daily (takeout and delivery also available) and will cater with only a day's notice. 500 Mission Blvd., Santa Rosa. 539-3937.--S.L. The neighborhood taqueria has long been a mainstay for those suffering from emptiness of both belly and wallet. Nothing stretches those last few dollars like an enormous choke-a-goat burrito, which, if consumed carefully, can provide lunch, dinner, and even breakfast the next day. The downside? An inevitable surfeit of frijoles. The solution to bean burnout? Tandoori Express, conveniently located in a strip mall right across the street from Santa Rosa Junior College. What this little Indian restaurant lacks in atmosphere (fluorescent lighting, Styrofoam tableware) it more than makes up for in cheap, tasty, stimulating grub. The basic theme is goop over rice; vegetarians can choose from a wide variety of meatless curries that incorporate such ingredients as spinach, potatoes, chickpeas, and tofu. Carnivores may opt for lamb curry or tender, saffron-tinted tandoori chicken. Wash it down with a refreshing mango lassi and walk away with money to spare. 1880 Mendocino Ave., Santa Rosa; 543-8168.--Y.B. My grandmother once had a small kitchen towel inscribed with the words "If there are cookies in heaven, they will be gingerbread." Based on the heavenly nature of grandma's own gingerbread, the towel's sentiment was easy to believe. Mouth-tingly and nose-tickly and warm from the oven, it was the closest thing to heaven this grandson ever wanted or needed. The closest thing to grandma's gingerbread, it turns out, is the sweet, spicy gingerbread made by Healdsburg's Downtown Bakery and Creamery. Offered in bake-it-yourself one-pound rolls sold over the counter for $3.75, the chilled gingery bread makes 30 to 35 cookies, depending on how thick you slice them. One thing's for sure: If there is more than one kind of gingerbread in heaven, Downtown Bakery's will be one of them. 308 Center St., Healdsburg. 431-2719.--D.T. Best Place to Be Called "Hon"
Sam's for Play Cafe is the anti-Denny's, a reminder of how much better a restaurant can be when it isn't homogenized and standardized to death. The eponymous owner has made the most of an unappealing location on the Sebastopol Road strip, advertising her diner in big blue can't-miss-it lettering that reads "for play." That's two words, not one, and it refers to the reason Sam went into business in the first place. The atmosphere is accordingly welcoming and unpretentious. License plates, old sheet music, witty placards, and other tchotchkes adorn the walls; one waitress wears a name tag that says "Oh Miss." You can buy a paper from the rack outside or rummage in the basket near the counter for a leftover sports section. And, oh yes, the food: the food is damn good. If you're celebrating something, you might break your fast with a Hangtown Fry (oysters, onions, and eggs) and a champagne mimosa. But if you're looking for a bargain, nothing beats the blue-plate special: a mess of potatoes, eggs, and chili for $2.95 on weekdays. 1024 Sebastopol Road, Santa Rosa. 528-0506.--Y.B. Rule No. 1: "There are no rules in food and wine pairing." Rule No. 2: "Drink what you like and eat what you like and you should be happy." Rule No. 3: "When I approach a table and ask what wines they drink and someone says, 'I don't know, I just buy wines that have pretty labels,' I try to ascertain what kind of wine they might like and go find one of those--with a pretty label." Rule No. 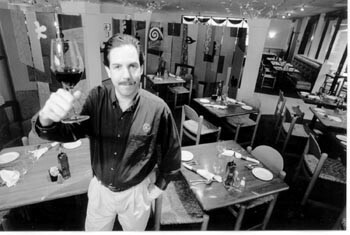 4: "If I walk up to a table and four people are having four different entrées--ahi, duck, pork, or pasta, say--and they all want something different to drink, I can offer them 30 different wines by the glass to taste at any given time. Oftentimes, I'll get them a Qupe or Morgan syrah and they'll be very happy. And that's it." Twisted Vines, 16 Kentucky St., Petaluma. 766-8162.--D.H. It's a routine Friday night as you saunter over to Safeway in the St. Francis Shopping Center to pick up a pint of milk. The grinning checkout guys 'n' gals beckon, but somehow you're drawn instead to make a detour into the mysterious Rita's New China Restaurant & Lounge--a Chinese and American restaurant and bar on the corner. The rough-hewn place smells of old leather banquettes, chop suey, and Jack Daniel's. Folks are chowing down cheeseburgers and egg rolls in the old-style dining room. The cunning blonde behind the bar recommends her "special" mai tai. It's a truly lethal concoction--a potent fruity elixir that likely fuels many of the cigarette-voiced karaoke performers this night. Strands of tinsel and a silver-mirrored disco ball gussy up the tiny stage for each "Tina" or "Garth." You sip your cocktail, and the evening mellows on. The big ol' Chinese lanterns swing as a bevy of rancher types in cowboy hats sway to the macarena on the postage-stamp-sized dance floor. Too many mai tais later finds you onstage, a solo B52, yowling something about glitter on the highway. Mercifully, someone takes the microphone away . . . and you remember no more. True tale or blatant fiction? Ramble into Rita's sometime and find out for yourself. 138 Calistoga Road, Santa Rosa. 537-0308.--P.H. At the supermarket no one is looking. We're free to press pears and fondle figs as much as we need to to determine their fitness for the fruit bowl. Not so at the Dry Creek Peaches and Produce stand. Here the ever-vigilant Johanna Monroe hovers over her wares, watching as if to prevent even probing gazes from denting and bruising the succulent flesh of the Dry Creek peaches. The Monroes take no chances, carefully laying their peaches one layer thick in cushiony plastic forms: no down-pressing piles of produce here. Johanna is the watch guard, carefully cutting up samples and turning away tentative fingers with a stern look. Since you can't squeeze, you'll just have to trust that every peach is as good as the sample: wine-sweet, juicy, aromatic, perfectly ripe. Trust us: every peach is that good. Look for Dry Creek peaches during the summer months at the Santa Rosa farmers market. Veterans Building, 1350 Maple Ave., Santa Rosa. 433-8121.--M.W. MIKE CONDRIN KNOWS BEEF when he sees it. 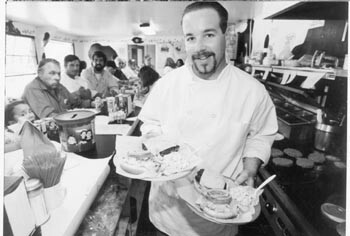 As the owner and resident character of Mike's at the Yard--a quirky Petaluma hamburger joint--and the recently opened Mike's at the Crossroads, in Rohnert Park, Mike has cooked up a reputation as a guy who knows good fresh beef when he sees it. Since many of his first customers were ranchers and cattlemen, he knew he'd have to serve only the best. He also knew he'd have to learn to shoot the hooey with the best of them, tossing rapid-fire one-liners and good-natured put-downs like Don Rickles on energy drinks. Now Mike is famous throughout the county for his beef, and for his bull. Mike's at the Yard, 84 Corona Ave., Petaluma; 769-1082; Mike's at the Crossroads, 7665 Old Redwood Hwy., Cotati, 665-9999.--D.T. Bread pudding is one that seems oft to be hated. of some comfort food that could cure a bad mump. the kind you'd gladly have again. so sweet and delicious, it's quite a nice find. you'll sure love this kind. 400 W. Spain St., Sonoma. 938-4004.--D.T. THE PORTUGUESE MARKET appeared quietly a few years back and has since become a humming hub of conversation and information for the area's large Portuguese community. This cozy, charming little place is dominated in front by a deli counter crowded with linguica and birananas and corn breads and sweet breads. The back of the store has been turned into a bright, sunny coffee shop, with a handful of tables arranged around a row of urns dispensing a steady flow of hot coffee to warm the souls of those engaged in a constant stream of conversation. 186 Keller St., Petaluma. 776-0905.--D.T. Timber Crest Farms, a manufacturer of dried fruits and vegetables, has been drying and bagging stuff for years, tackling everything from prunes and apples to raisins and pineapples their immensely popular sun-dried tomatoes. Yet it's located smack dab in the middle of wine country. While out tasting the fermented fruits of the county, come on by for a tour of the grounds and a taste of the tomatoes or Vital Veggies--a mix of crunchy dried carrots, peas, and corn that is, as the package says, both good and good for you. 4791 Dry Creek Road, Healdsburg. 433-8251--D.T. As far as strong, full-sensory restaurant names go, we're kind of taken by the Flaky Cream Do-nuts and Coffee Shop, a donutery and old-fashioned breakfast-lunch counter in downtown Healdsburg. Flaky. Cream. Donuts. The name alone makes us salivate. If the food, from omelets to top sirloin, is half as good as that name--and reports are that it is--then this little establishment could end up being packed every day of the week. Oops! It already is. 441 Center St., Healdsburg. 433-3895.--D.T. Phylloxera is an agricultural root disease that is known to be destructive to grapevines. I know this because I looked it up at the Wine Library. Tucked into a spacious area of the downtown Healdsburg Library, the world-renowned Sonoma County Wine Library--a vast resource to researchers around the globe--is a stunningly vast collection of books, pamphlets, magazines, films, and local records, all relating in some way to wine, wineries, or the wine country. The Wine Library is open to the public during regular library hours. 139 Piper St., Healdsburg. 433-3772.--D.T. Vegans, vegans, who's got the vegans? If you're one of the growing number of Americans who have cut both meat and dairy products out of their diet, or if you're thinking about taking that healthy and humane step, you might be wondering where the heck you can meet like-minded locals. Wonder no more. Every month, Sonoma People for Animal Rights hosts a friendly potluck where every morsel on the table is free of animal products. Local vegans gather to eat, share tips about cooking and dining out, and generally have a laid-back time. Bring your own dish (with no eggs, dairy, or flesh) and drop by on Saturday, April 15, at 6 p.m. Inn of the Beginning, 8201 Old Redwood Hwy., Cotati. 869-9052.--P.S. Jimtown Store has been serving locals and surprising tourists at the same Alexander Valley location for parts of three centuries and two millennia. 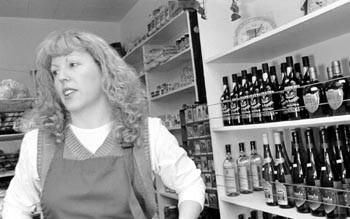 It is the quintessential general store, offering everything from candy to apparel and from housewares to packaged specialty foods. But the best reason to stop is for the deli food, a tasteful twist added to the Jimtown "experience" when John Werner and Carrie Brown purchased the venerable business 10 years ago. If you can't decide between the Dijon-glazed chicken breast and the brie and olive salad, relive your childhood by opting for the peanut butter and Jimtown jam sandwich. OK, so it's not technically a peanut butter and jelly sandwich, but it's every bit as sweet and gooey and satisfying. 6706 Hwy. 128, Healdsburg. 433-1212.--B.J. 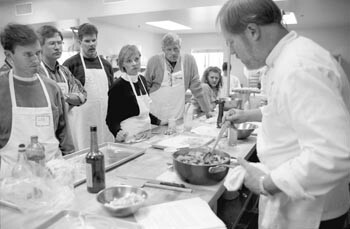 OPEN FOR ALMOST TWO YEARS NOW, Ramekins Sonoma Valley Culinary School is a magnificent place for the eager home cook to pick up a few tips from some of the world's greatest chefs and cookbook writers. 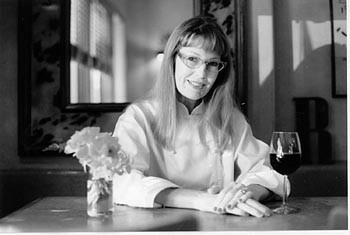 A typical season's worth of classes includes such offerings as Cooking 101, with radio personality Arlyn Hackett; Soup--Italian Style, with author Louise Fiszer; Cooking for One (or Two), with Laurel Miller; and Mollie Katzen's Savory Spring, with The Moosewood Cookbook author Mollie Katzen. Cooking classes run from $45 up and are the perfect blend of entertainment, education--and food. 450 W. Spain St., Sonoma. 933-0450.--D.T. The genre of music known as smooth jazz may evoke sneers among traditional jazz aficionados, but it has taken America's airwaves by storm and ranked among the more popular radio station formats of the 1990s. Locally, smooth-jazz artists perform each summer on the grounds of Rodney Strong Vineyards. The sun and heat can sometimes be oppressive, so winery personnel set up giant misting fans to soothe and cool attendees between (or even during) sets. The highlight of last summer's concert series at Rodney Strong was the appearance of Peter White and Rick Braun, and the adulation accorded White proved to be a harbinger: at the first annual Smooth Jazz Awards, the genre's version of the Grammys, White took home no less than four awards, including "Artist of the Year." Sunny skies, soothing sounds and well-chilled wine . . . not a bad way to spend a weekend afternoon. 11455 Old Redwood Hwy., Healdsburg. 433-6511.--B.J. Having grown up in a bakery, I know a thing or two about apple pie. And while the pies we sold to customers were good, they paled in comparison to those made at home by my mom. In later years, I have often wondered why my folks didn't use Mom's recipe for the bakery pies. Even today, at age 79, Mom makes the best apple pie I've ever tasted. Still, Jeff Mall of Zin Restaurant & Wine Bar has won a place in my heart. After chowing down on one of Mall's fabulous main courses, accompanied by a glass of local zin, you may not have room for pie. If that's the case, order a slice to go; it tastes even better the second day. Where did Mall get the recipe for the world's second-best apple pie? From his mom, of course. 344 Center St., Healdsburg. 473-0946.--B.J. The Sonoma County Showcase of Wine & Food may be this county's answer to the Napa Valley Wine Auction, and its hefty price tag also emulates its Napa cousin's. But for the non-manicured among us, no local event can beat "A Food & Wine Affair," an annual fest hosted by the wineries that comprise the Healdsburg-based Russian River Wine Road. For $35 per person (in advance), ticket holders can visit dozens of wineries in northwest Sonoma County and sample specially prepared dishes paired with the wineries' best bottlings. This non-stop nosh goes on for two days, and the price includes a logo glass and a cookbook with recipes for the various dishes featured. 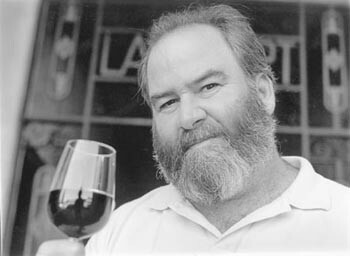 433-4335; www.wineroad.com.--B.J. A personal tale of woe (it has a happy ending, so keep reading): At the tender age of 20, I married a woman with two young daughters. For the first year or so of this doomed union, our family ate little else but Kraft macaroni and cheese. Why? The boxes cost around 18 cents apiece at the time. A few years later we divorced, and I vowed I'd never eat mac 'n' cheese again--even though I liked it. Through all the years of raising my daughters, I kept that promise . . . until one day last fall. I had heard good things about the craft beers at Sonoma's Siena Red Brewery and Bistro, so I decided to pay a visit. It was a cool, breezy day, so I figured I'd have something warm and hearty along with the brew. I picked up the menu, and the words "Macaroni & Cheese" jumped out at me. "No," I thought to myself. Then I read the description of the dish: made with sharp Sonoma cheddar and topped with fresh breadcrumbs. "Hmm," I thought. "Why not? This isn't like Kraft mac 'n' cheese." So I ordered it, along with a glass of Siena Red Ale. And I was right: This was no ordinary mac 'n' cheese; it was rich, creamy and delicious. Then a pang of guilt set in. Had I broken that promise I'd made to myself way back when? It took me only a split second to come up with the answer: "Who cares?" 529 First St. W., Sonoma. 938-1313.--B.J. Living in California's acclaimed wine country is a double-edged sword. The dull edge: we have access to some of the finest wines made in all the world. The sharp edge: many of those wines come with a hefty price tag. Since we can't, in good conscience, tap into Junior's college fund in order to drink these special wines on a regular basis, some tasty, affordable alternatives are needed. Gundlach-Bundschu Winery provides a solid one-two punch in the value arena with its Bearitage and Polar Bearitage bottlings. Bearitage, sporting a drawing of a brown bear squeezing the juice from a grape cluster into his mouth, is a blend of cabernet sauvignon, merlot, and zinfandel (and other red varietals--the recipe varies from vintage to vintage) that matches well with pasta and simple meat dishes. Polar Bearitage (can you guess the color of the bear on its label?) is a blend of white varietals, including chardonnay and sauvignon blanc, that is a wonderful quaffer or companion to white-meat preparations and other dishes with cream-based sauces. Best of all, you can find each bottling for less than $10--occasionally much less, with a little shopping. They're also available at the winery, at full retail. 2000 Denmark St., Sonoma. 938-5277. --B.J. CARNIVORES PAY BIG BUCKS to tuck into exotic, rare, and endangered animal species. Vegetarians with deep pockets can do something similar with obscure crops and grains at one of the Occidental Arts and Ecology Center's benefit dinners. This nonprofit educational institute features the finest seasonal harvest from its abundant organic gardens and orchards. Tickets range from $100 to $500 a plate and tables go for $500 to $5,000. For example, a Lost Crops of the Incas Dinner last spring dished up such unusual crops as zima beans, mashua, oca, and yacon, and such grains as quinoa and kiwicha. "Ingredients will be picked or plucked just hours before mealtime," boasts the OAEC's glossy brochure. Start saving now. 15290 Coleman Road, Occidental. 874-1557.--P.H. A number of local wineries have jumped on the "Rhône" bandwagon in recent years, planting varietals common to the Rhône region of France but seldom before seen in California vineyards. These pioneering vintners, dubbed "Rhône Rangers," have found that many Rhône varietals fare very well in the Golden State's North Coast climes and make delicious--and often much less expensive--alternatives to the more pricey Bordeaux varietals. For an authentic taste of Rhône cuisine, look no further than The Girl & the Fig, Sondra Bernstein's cozy eatery in Glen Ellen. Here, Provençal-inspired food and wine combine to provide a French country dining experience like no other on this side of the pond. When you visit, be prepared to have your tastebuds dazzled by the scents and flavors of Mother Earth--in both solid and liquid form. 13690 Arnold Drive, Glen Ellen. 938-3634.--B.J. Coming soon to a wine estate near you: an awe-inspiring blanket of nature's color pallet. On April 8, Ferrari-Carano Vineyards will host "A Taste of Spring," the first opportunity for visitors to enjoy thousands of tulip and daffodil bulbs bursting from the lush gardens surrounding the winery's Villa Fiore. Flower lovers and wine lovers alike look forward to this annual rite of spring; normally, one must visit an arboretum to experience such vivid splashes of horticultural color. (There is a fee of $10 for "A Taste of Spring," which includes a winery logo glass.) 8761 Dry Creek Road, Healdsburg. 433-6700.--B.J. Well, hardly anybody. Accessed via a winding hillside road, Armida Winery is worth the hairpin turns and gear-challenging ascent. Once one arrives at the tasting room, parks the car and disembarks, sweeping valley and vineyard views demand attention. For several years, the vineyards were far in the distance, but now they can be seen up close as well, since Armida recently planted its first estate vines adjacent to the sloping road leading to the winery. Since this is a new planting, long stretches of plastic occasionally are sprawled across the rows of vines, protecting them and the hillside from rainy-season erosion. In a few years, those vines will be producing fruit that can be transformed into wine, joining Armida's already stellar lineup of bottlings. And just in case you pause too long while soaking in the vistas, the estate's friendly dog, aptly named Wino, will arrive and lead you to the tasting-room doors. 2201 Westside Road, Healdsburg. 433-2222.--B.J. Forty-five bucks for a bottle of zin? You've got to be kidding! Wish we were, but that's about what you'd ante for a bottle of Bismark Vineyard Zinfandel from Hanna Winery. Made from grapes grown in the highest vineyard in Sonoma County, this wine is "big" in every way, from its 16.5 per cent alcohol to its amazing fruit flavors. While zinfandel normally is considered a great food wine, this bottling defies that description; frankly; we have no idea what we'd eat with it. Like many cabernet sauvignons, it's one of those bottlings that deserves to be consumed solo--just you, your main squeeze, a fireplace, a bear rug . . . you get the picture. Look for this wine in local stores, because the fare at the winery is certain to be even higher. "Is it worth it?" you ask. That probably depends on how things pan out by the fireplace. 9280 Hwy. 128, Healdsburg. 575-3371.--B.J. THERE ARE DOZENS of fabulous local restaurants that combine outstanding menus with lengthy, well-selected wine lists. But for pairing specific courses of a meal with specific wines, it's hard to beat Mistral Restaurant. On Thursday, Friday, Saturday, and Sunday evenings, this Santa Rosa culinary institution offers a four-course "tasting menu" wherein each course is paired with a selected wine. Overkill? Perhaps. Memorable? Without question. 1229 N. Dutton Ave., Santa Rosa. 578-4511.--B.J. Zinfandel prices have skyrocketed as the varietal's popularity has grown, but the best deal on local zin three years ago probably is the best deal on local zin today. We speak of Seghesio's bottling, a much more accessible wine than Hanna's monster and, thus, an ideal food wine. Seghesio Family Vineyards makes more than one zin, so look for the one with the blue capsule and save yourself some green. (Seen for around $12; higher at the winery.) 14730 Grove St., Healdsburg. 433-3579.--B.J.